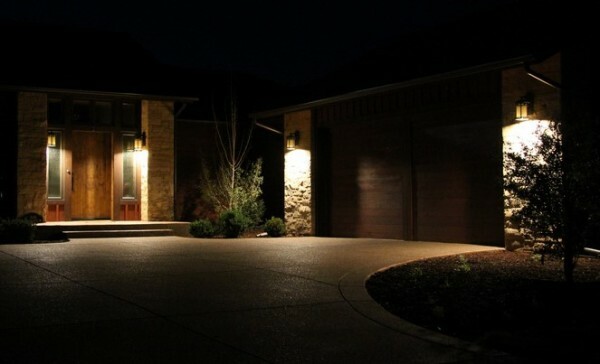 ​This street shows that shifting from bright white high glare lighting to hidden warm white LED lighting makes the less well lit areas easier to see. ​The white light on the left is sharp, but the darker areas are inky black. The poet Z. M. Wise aptly coined the term "bright darkness." 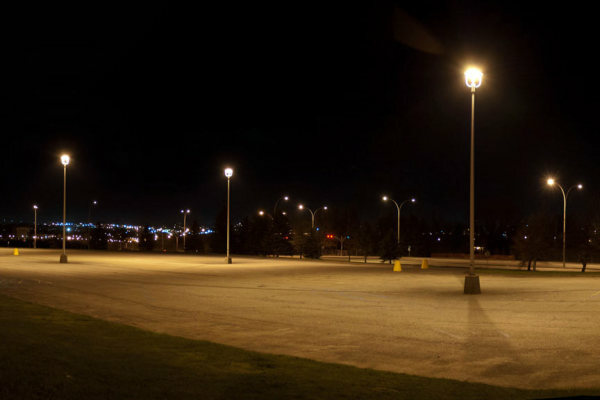 Notice how much better you see on the right when the light source is hidden on the same light poles. Glare hides what you are trying to see, creating "bright darkness." Glare from exposed light bulbs darkens the steps. 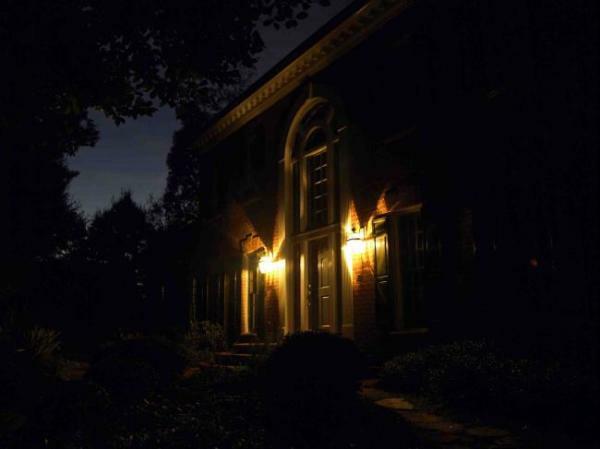 Bulbs are hidden under the top of the fixture for great visibility of the porch and steps. Bright white light is fine underneath the light, but it creates impenetrable dark shadows. Imagine this kind of glare outside your window or in your windshield. 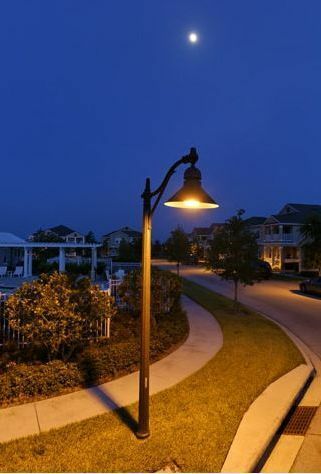 This warm white well shielded LED street light is dimmed to only 17 watts. 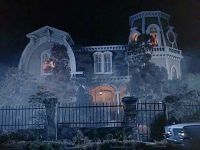 There is zero glare from home windows and even the unlit house on the left is easy to see. 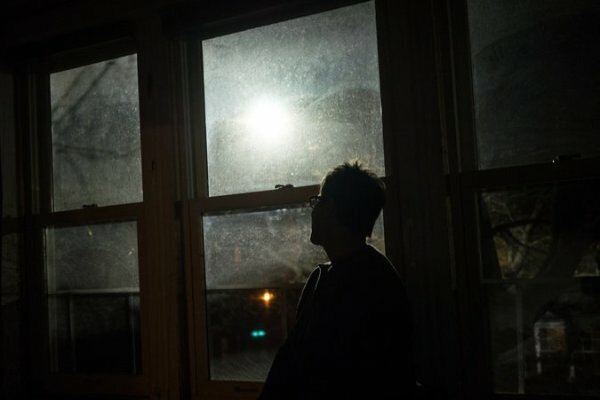 For those unlucky enough to have a white LED street light outside of their bedroom, this kind of light is surprisingly hard to block out even with blackout shades. The blue frequency light contained in the white color interferes with sleep even in small amounts because it blocks the body's natural production of melatonin at night. No need for the thickest shades with this view out your window. You can enjoy your home and yard. And neighborhood awareness is far better. 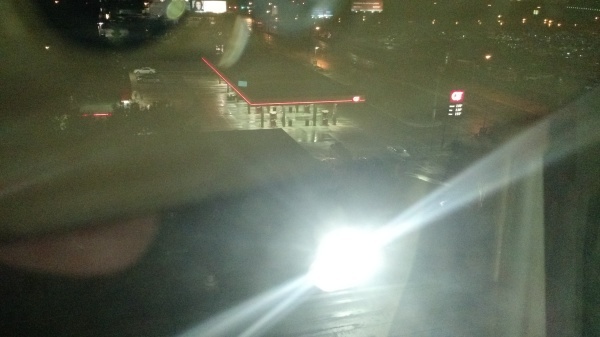 It was hard to sleep in this Dallas Doubletree Hotel 7th floor room even with blackout curtains. 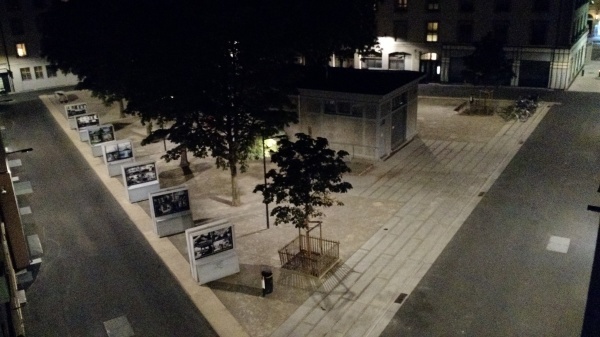 Blackout curtains easily blocked the soft LED lighting of this town plaza in downtown Geneva, Switzerland. Never slept better! 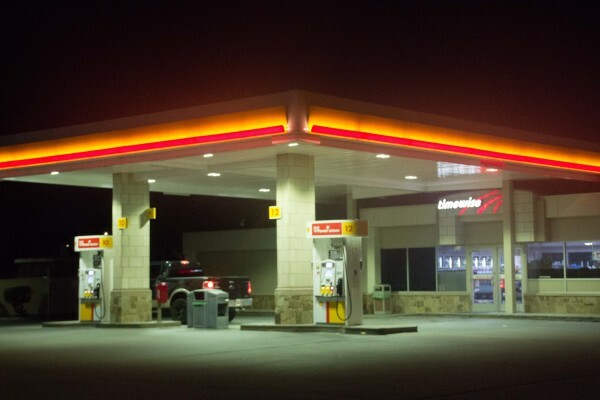 Warm white LEDs at a Shell station in Houston, TX. Excellent visibility at a fraction of the energy use. The Exxon station across the street is also saving money with LED lighting, but is far brighter than necessary to see the environment. A car departs the station with its headlights off. 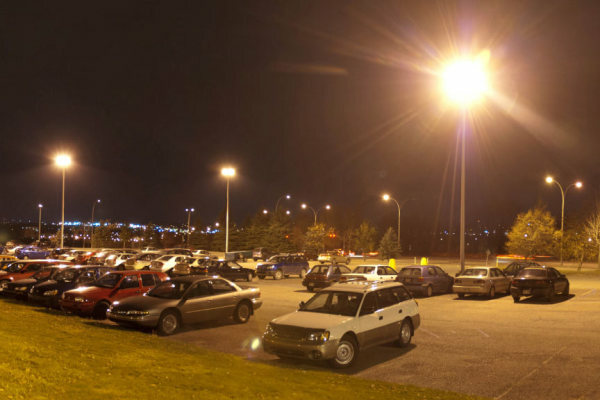 Sherbrooke University parking lot lighting angled outward. New lighting uses less light pointed downward. Also note the soft warm white color. This Whataburger's soft lighting is easy on the eye with no glare and no dark shadows. This McDonald's confuses the eye with harsh glare. 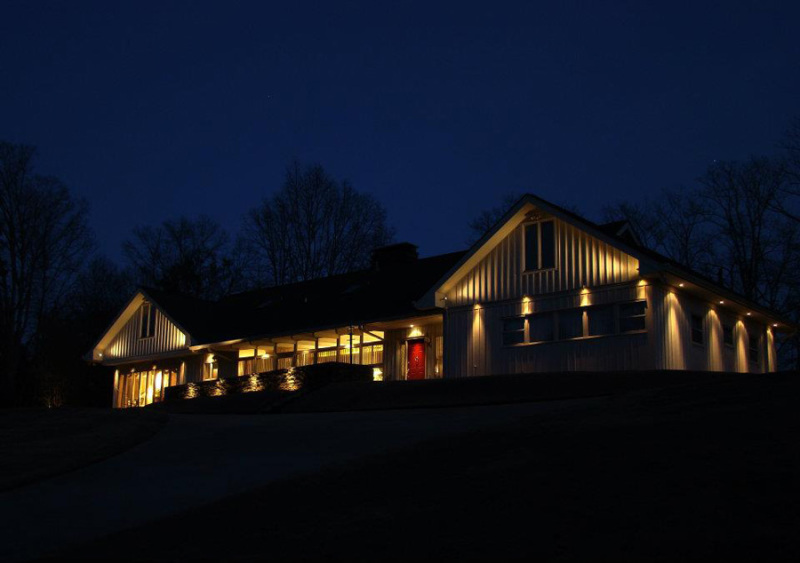 This home lights entry points while preserving the beauty of the night. Even lower lighting levels are possible when the light source is hidden. Hollywood has long used light to create a mood. ​Does harsh light make you feel safe? The cold white LED light Houston and some other early adopters have installed is falling out of favor. Who wants to live under ghoulish high glare light? The "upside-down," an alternate dimension with deadly consequences. 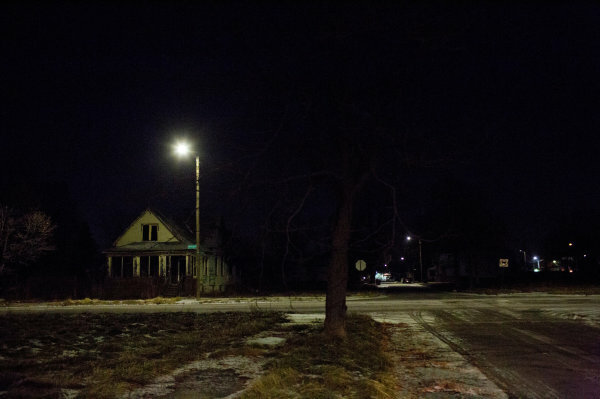 What happens when an entire city lights right? 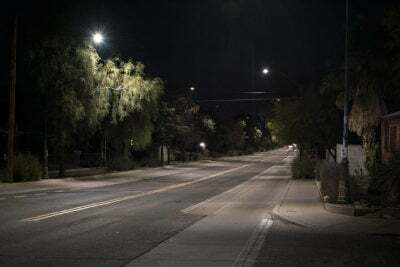 Tucson, AZ is a pleasure at night because the entire city is committed to low glare warm lighting. Better visibility for far less energy use, too! 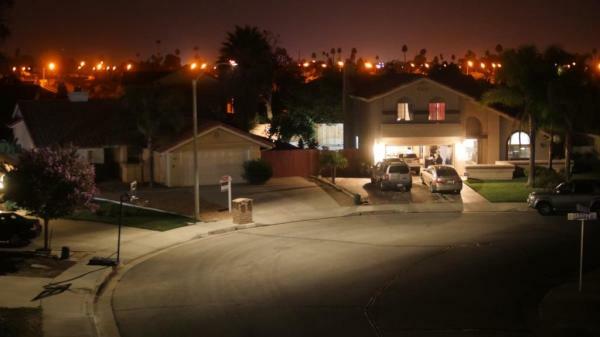 Amber LEDS allow residents to sleep while still being able to see well. 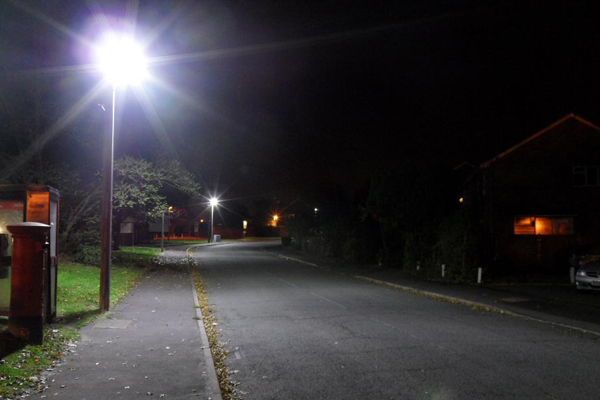 Warm white LEDs provide excellent visibility on major streets and pedestrian areas. This test was so successful that it is likely to be widely implemented. You can watch all of the video or just from 5:00 to 7:30 to see how the new lighting compares to their previous white LEDs. LEFT: Phoenix will install warm white LED lighting city wide. The color is 2700K (Kelvin) similar to this Phoenix park's pedestrian lighting.